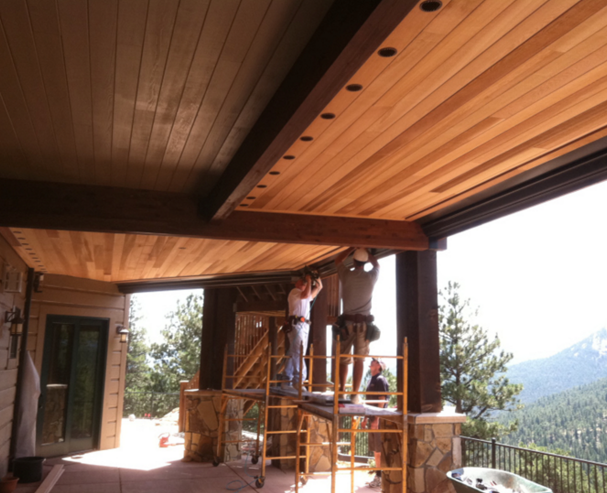 Hello, and welcome back to our blog here at Colorado Deck Drain Experts. 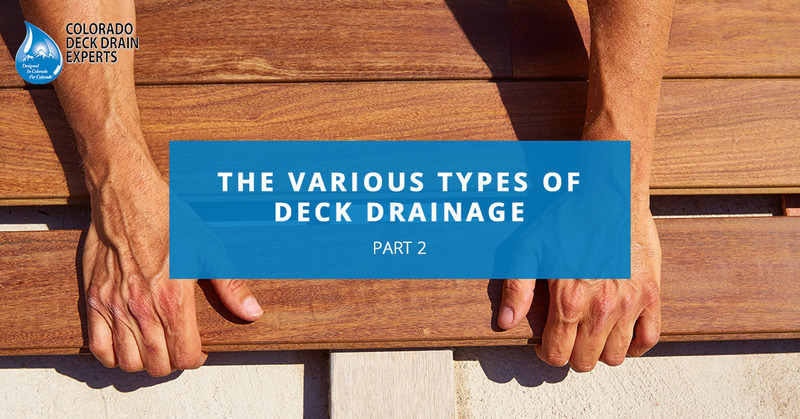 If you missed our last blog, be sure to check it out to learn more about under-deck drains and how you’ll benefit from them. In this blog, we’re going to take a look at several more options out there. And as usual, if you have any questions about what you read here, don’t hesitate to give us a call to speak with an experienced deck drain installer. With both above- and below-joist options, a flashing strip is installed at the ledger board, the membrane is then laid over the joists so that water can run towards the gutters. To prevent leakage, cap strips are installed over the membrane with each joist. This product uses a well, flashing tape, caulk, and includes downspouts and plastic trough sheets. The sheets are placed on the top of the joists and stapled into place, draping between them. When water falls between the deck boards, they land in the troughs and travel to downspouts at the end of the joist. In order to waterproof the ledger area, flashing tape and caulk are used, along with seams around railings and the seems between trough sheets. 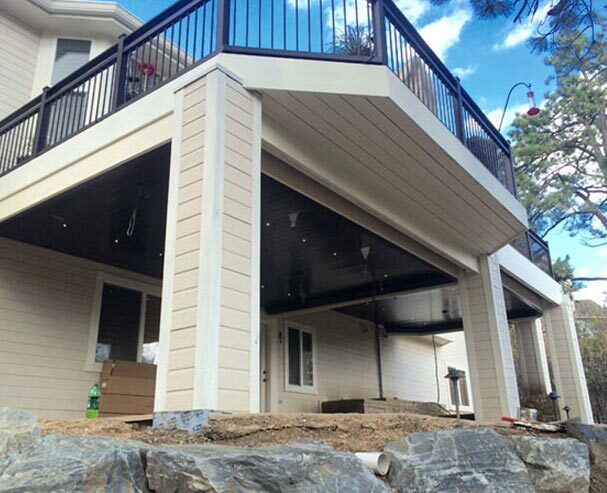 This type of deck drainage system comes in two layers.Installed perpendicular to joists in order to create a slope, pitching rails of varying widths are used. After that, the main rails are installed parallel to the joists. Finally, vinyl panels are installed that make up the ceiling. Unfortunately, with this type of deck drain, you have little to no options when it comes to the design and you won’t be able to install lighting fixtures or fans in the under deck area and it’s a bit more expensive than the options above. On the other hand, it does have a Class A Fire Rating and has passed standards for hurricane testing. 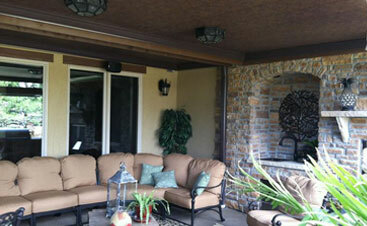 This type of deck drainage is known for being very easy to install. 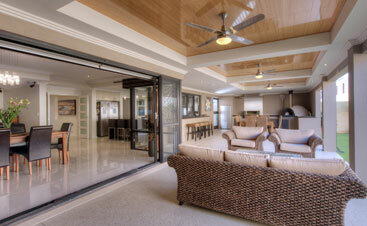 Interlocking galvalume metal panels are supported at either end with a perimeter guard. Dry-B-Lo comes in three different colors: light stone, dark bronze, and pearl white. 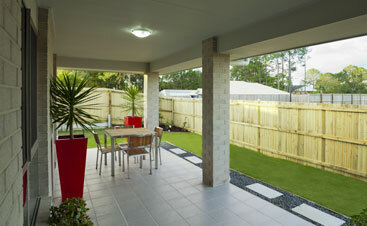 If you’re considering getting a deck drainage system installed on your upper deck, it’s best to avoid waiting. 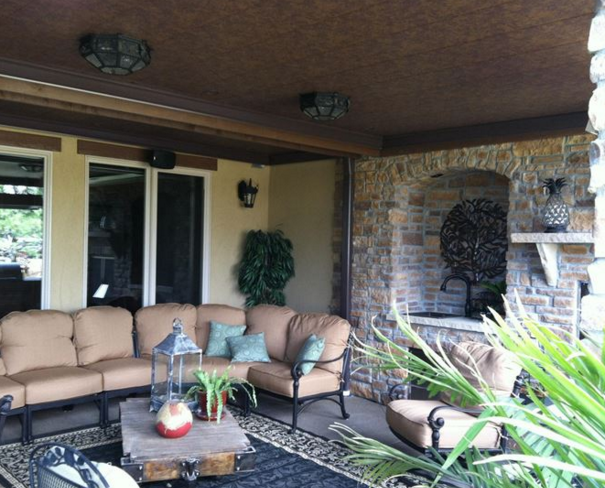 Deck drainage systems are designed to not only last but to extend the life of your deck in the process. So, the sooner you can get one installed, the better. There are huge variety of options out there for you so it’s usually best to consult with a professional deck drain installer before making any final decisions. Here at Colorado Deck Drain Experts, we install Dry-B-Lo Concealed Deck Drain Systems as well as Dry-B-Lo Contemporary Deck Drain Systems. If you have any questions about our products, installation, costs, or any other type of deck drain, don’t hesitate to give us a call.